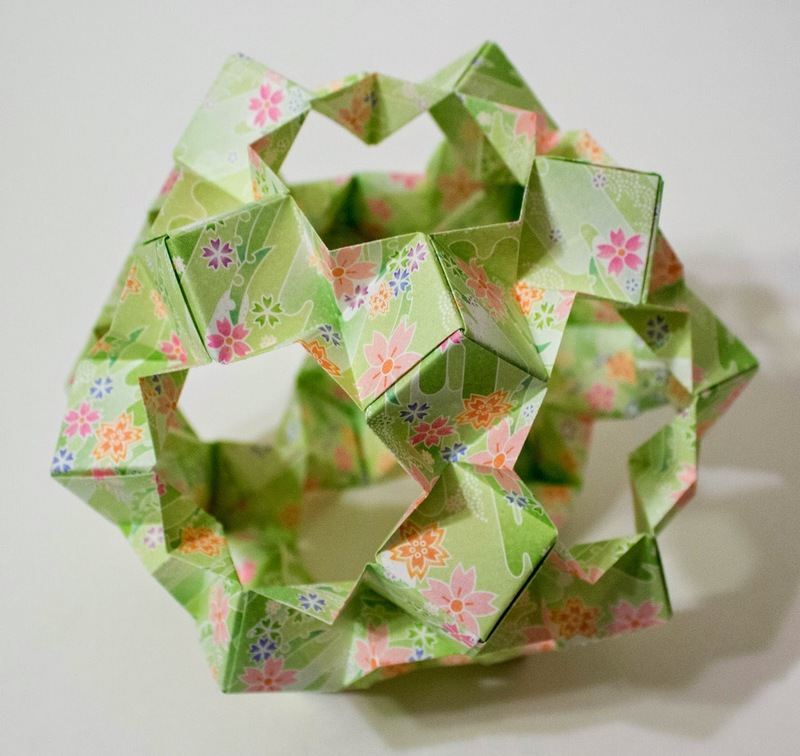 This model is from Meenakshi Mukerji's book Marvelous Modular Origami. It is made from 30 units. 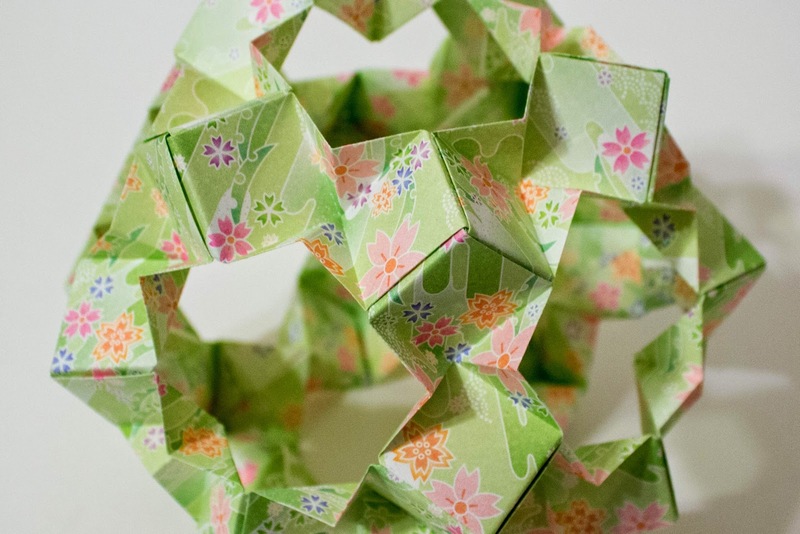 Each unit is made from 2:3 inch patterned origami paper purchased from KimsCrane.com. It is a very large model. The finished size is about 7 1/2 inches.